I am very happy to have new visitors to DynamicSubspace. If you are new here, you may consider checking out my other high traffic posts in the box to the right. How does Stumble Upon work? I need to find like-minded young people. Another blogger said SU would be useful. But I don’t know if I should get a account or a user of SU should do it? I love stumble upon, thanks Jason for the link. I get tons of hits from it. My busiest day was Memorial Day weekend that I have ever had like 2,000 in one day. Congrats to you. Thanks for commenting on my post about Stumbleupon. 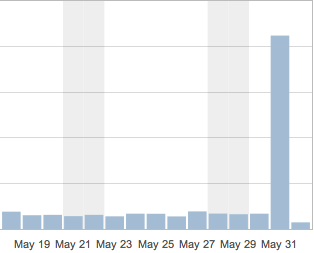 I also received about 2000 hits on my Stumbleupon day! I have known about the site, but I unfortunately have not participated in the fun. I need to return the favor for others now.